Q: Can mouth and gum infections cause heart disease? A: They certainly can, and do. Sadly, all too frequently these infections are ignored by mainstream medicine, which sadly persists in closing its eyes to the evidence, sticking to an obsolete theory that “high cholesterol” is the culprit while putting millions of people on cholesterol lowering drugs like statins. More than 50% of all the people who die of cardiovascular disease have low or normal cholesterol, a fact that orthodox medicine has chosen not to address at all. 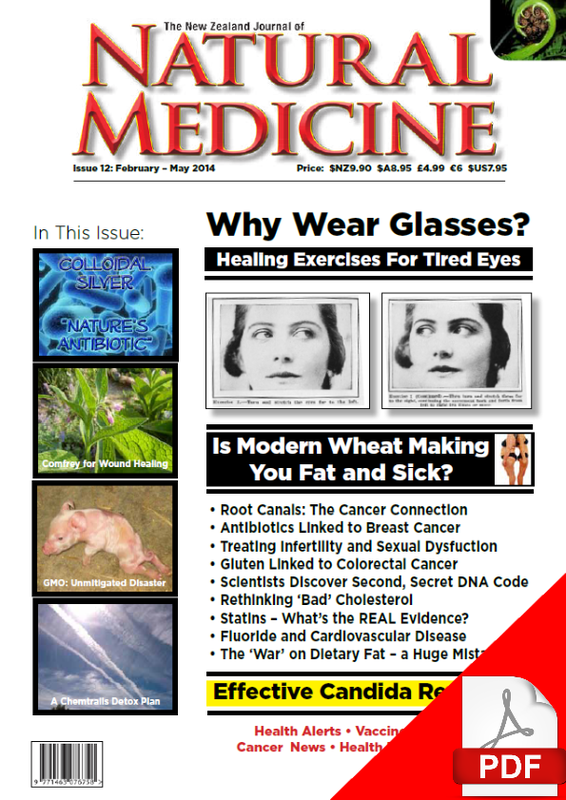 The new issue (#29) of The New Zealand Journal of Natural Medicine features an extended interview with Dr Thomas Levy, an internationally recognised expert in cardiovascular disease and the renowned author of Primal Panacea, a study in the numerous uses by the human body for Vitamin C.
Following on from the ground breaking work of Linus Pauling, he and many others now maintain that gum abscesses and gum disease play a huge role in the creation of cardiovascular disease. His words are a wake up call to health professionals and lay people alike not to ignore oral health if you want to have a healthy cardiovascular system. Falling testosterone levels as people age means longer times repairing injuries and “wear and tear” on the body, less energy and less libido. 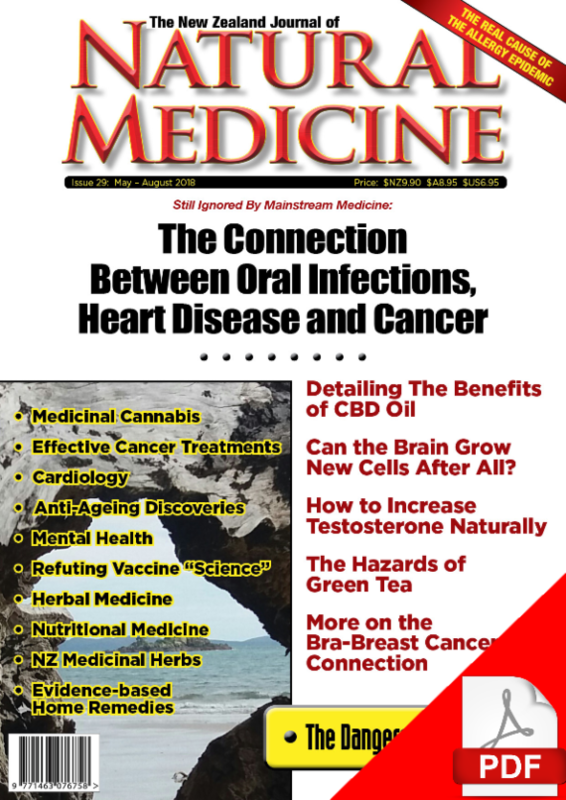 This issue of The New Zealand Journal of Natural Medicine shows that this is not a preordained situation and is in fact a wake up call to everyone who is eager to discover how to increase testosterone levels without drugs – naturally. One of the most significant discoveries in the last decade has been the role that CBD cannabis oil plays in helping overcome a huge variety of diseases – from cancer to epilepsy – and many others in between. 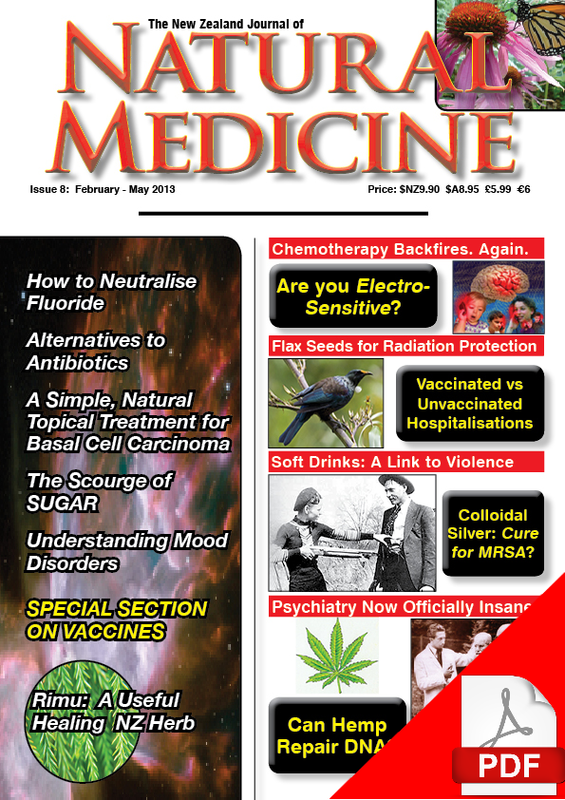 This issue features a compendium of the new knowledge; you’ll be surprised at what has been discovered so far – mainstream hasn’t even come close to disclosure. 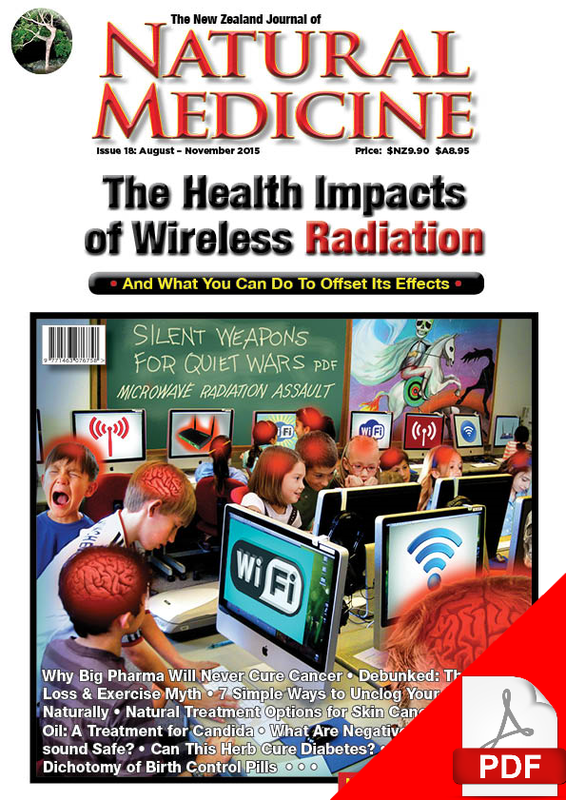 Together with our regular features, we focus on some warnings that health conscious people may still be unaware of – such as the dangers from green tea which can be very high in fluoride; the bra-breast cancer connection and the dangers of CT scans which are becoming more widespread with each passing year and the growing dangers of WiFi, vaccines, “mental health” drugs and many others you should be aware of. All this and much more in Issue 29 of The NZ Journal of Natural Medicine.